Anyone Interested In A New Farmers Market? It sounds like there’s a pretty good chance that we’ll be seeing a new farmers market in South Tempe. 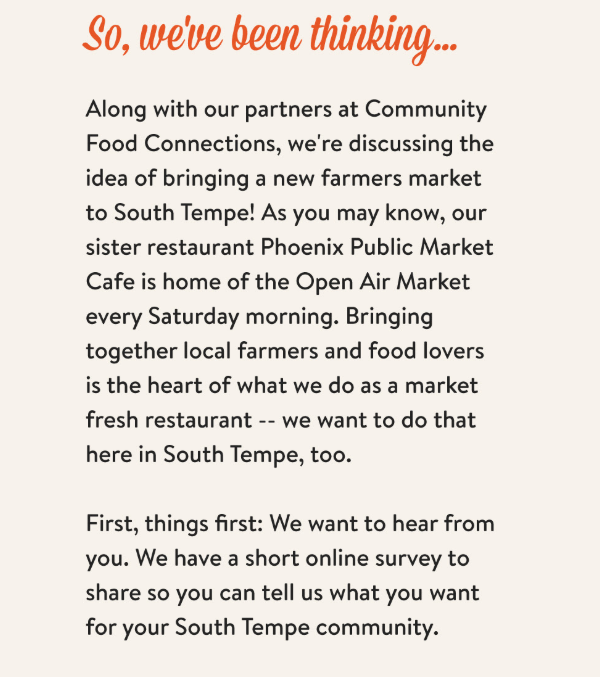 A survey went out from the people at the Tempe Public Market Cafe this morning asking questions about interest in a farmers market. They asked things like where we shop, what kinds of foods / products would be of interest, what is important to us in a farmers market, what days would be good, etc. The email also says to contact them at hello@tempepublicmarket.com if you would like to share your thoughts. It has been just two Fridays since they started having a peach truck / mini farmers market at the Cafe. If you were at the first weekend, you saw long lines and you found that they nearly sold out of all of their goods. To say that people were interested in having something like this in the area might be an understatement. I bought some of the honey from the peach truck and it was REALLY good! To be clear, these guys (and gals) know a thing or two about running a farmers market as they have been doing it for years in Phoenix. The tweet below shows some of the items they have in Phoenix. There’s a good variety and people seem to LOVE this market. So, what do you think? 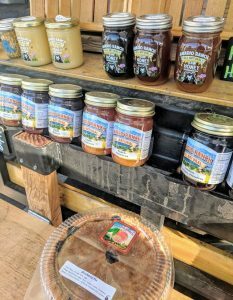 Is there a need for a farmers market at Rural and Warner? Let us know! The Tempe Public Market Cafe will soon begin hosting the Amadio Ranch Peach Truck on Fridays from 3:30-6:30pm. 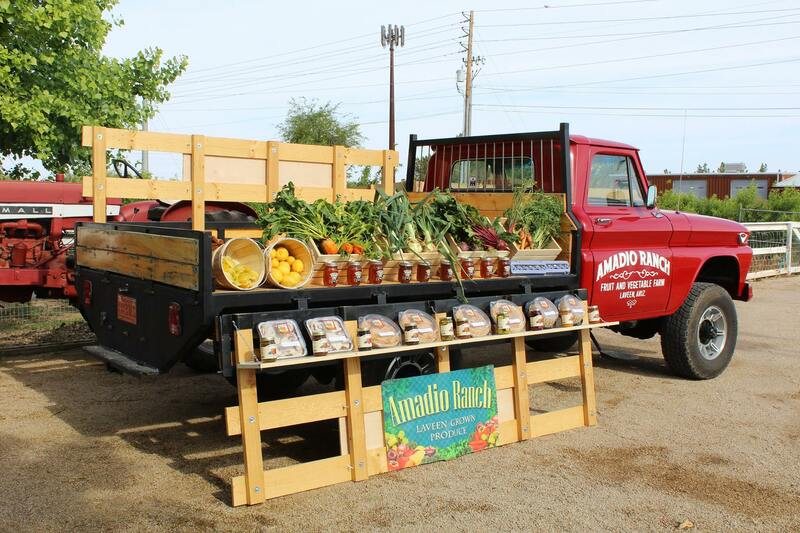 Amadio Ranch is a family-owned and operated farm in Laveen where they grow organic fruits and vegetables. 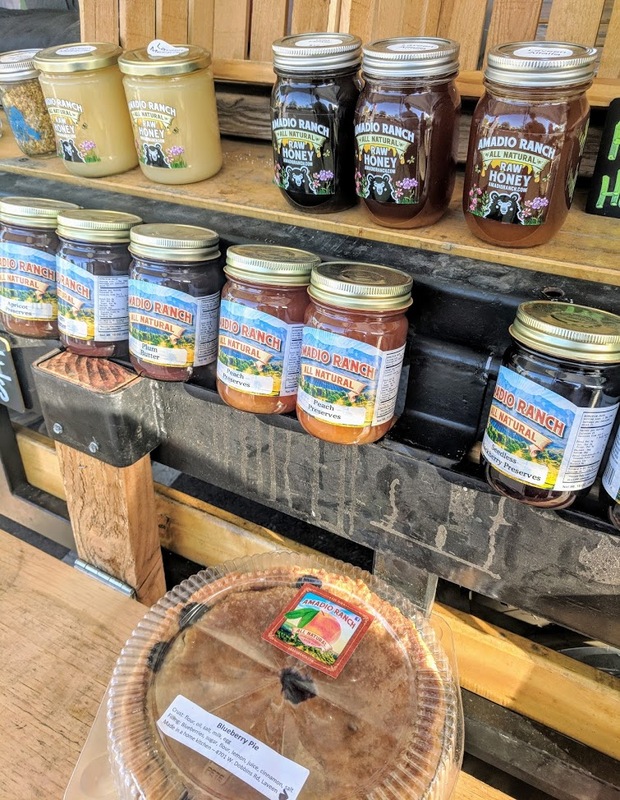 Beginning June 29th, 2018, they’ll be selling their produce, fresh eggs, local honey, homemade pies and more at the Cafe. Being a fan of locally owned goodness, Chef Aaron Chamberlain tells us that he is excited to be able to bring more local foods to the South Tempe ‘hood! **Added bonus: Happy Hour is from 4-6pm at the Cafe. AND, they have one of the best kids menus on the planet! Come check all of it out! Remember how much so many of us enjoyed the Farmer’s Market at McClintock and Warner a couple of years ago? I was bummed when that closed. Maybe this new addition to the neighborhood will be a catalyst for more to come? Either way, I hope to see you there. 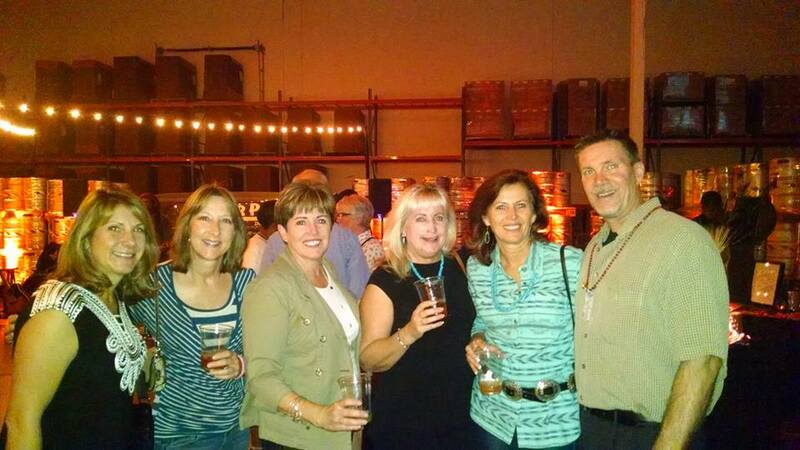 Come on out and welcome Amadio Ranch to the neighborhood! You have all heard of the greatest show on grass, right? 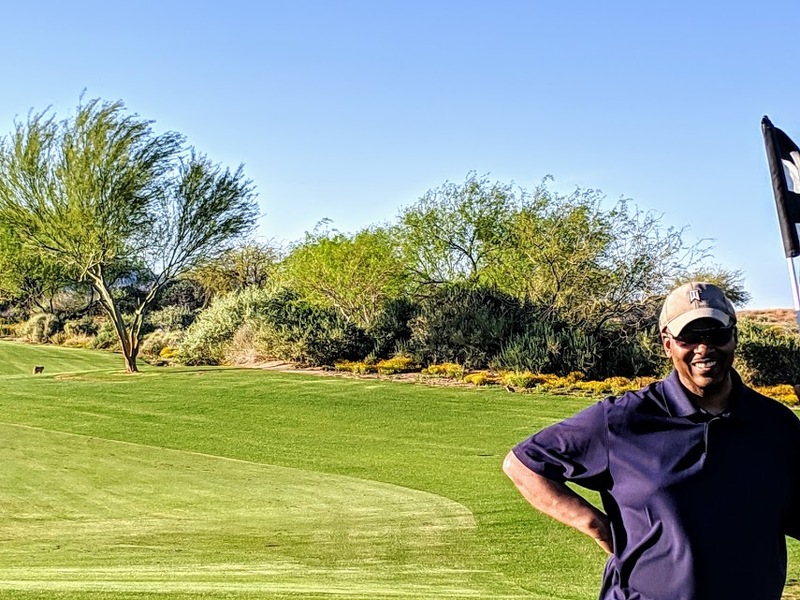 Some say it is a golf tournament happening this week at the TPC, but I might argue that it happened this past weekend at Ed and Heidi Baker’s home in Tempe, AZ. 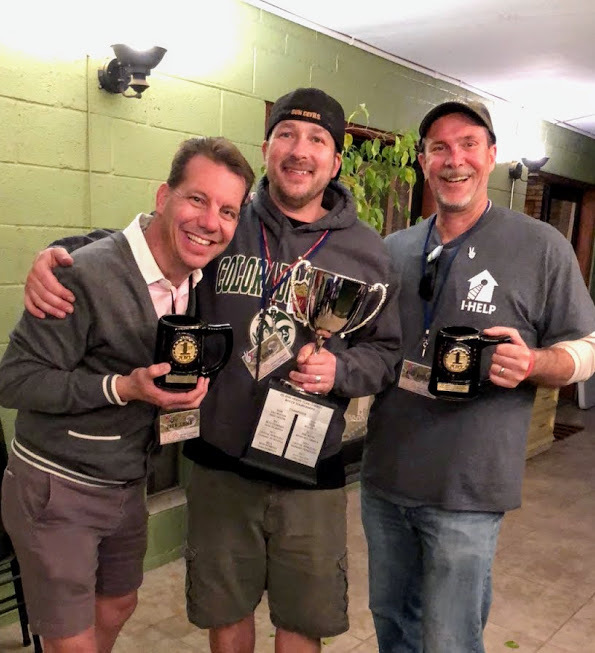 Their 9th annual charity Bocce Ball Tournament raised more than $14,000 for the Tempe Community Action Agency on Saturday, bringing the total amount raised at this private backyard event to over $57,000 in the past 9 years! Ed and Heidi’s Charity Bocce Tournament is a private fundraiser held annually on the last Saturday in January to benefit Tempe Community Action Agency. See the photo below? 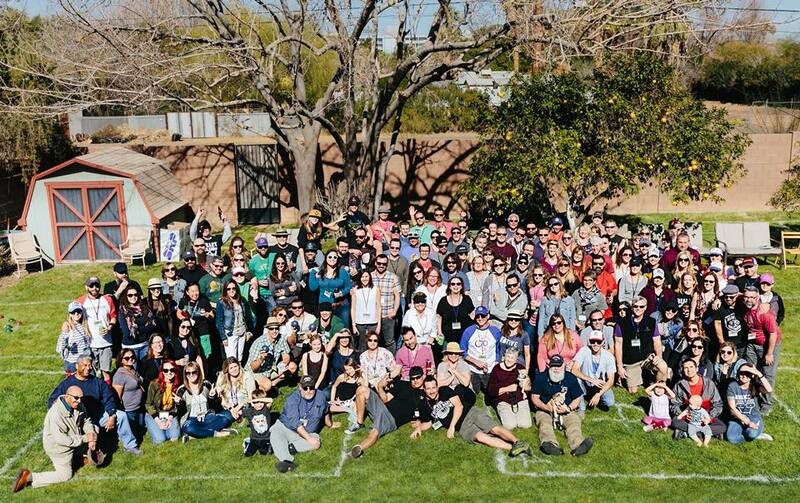 It is a group shot that was taken by Agnes Art & Photo just before the first round of the bocce ball tournament began. 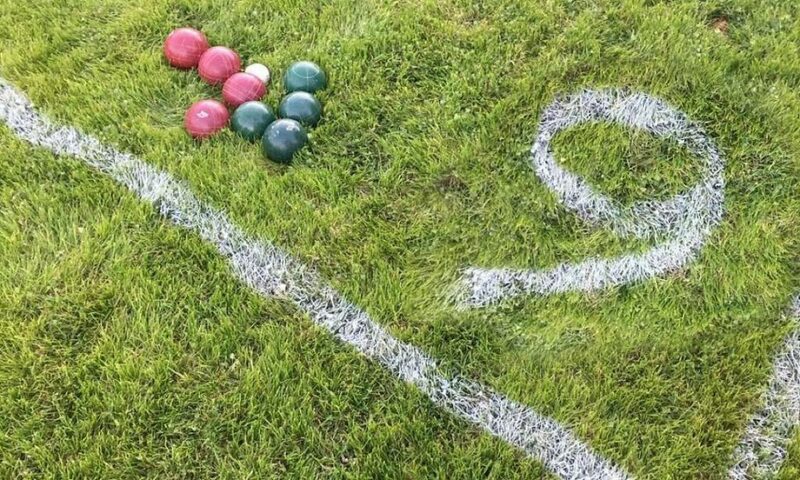 64 teams and more than 130 people gathered together for the chance to be called the 2018 TCAA Bocce Ball Champions. From there, some pretty amazing things happened. 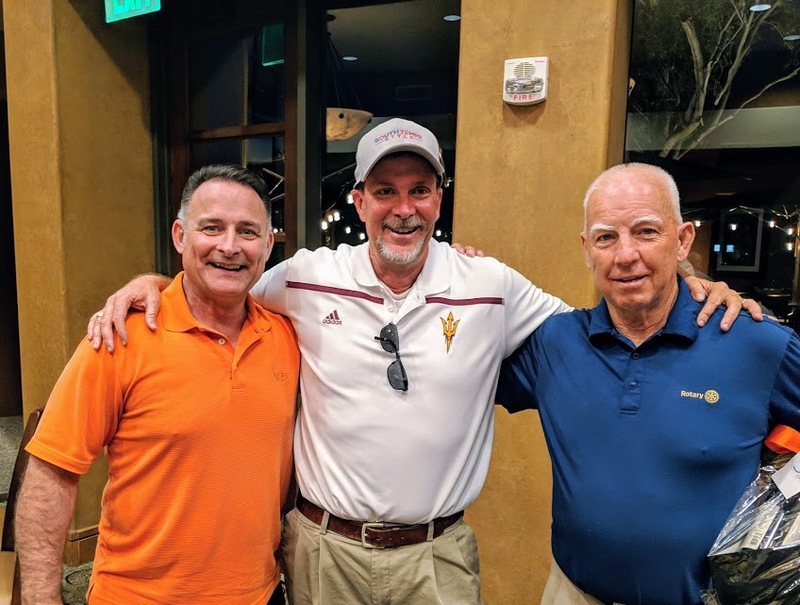 New friendships were made, old friendships were celebrated, people ate food together, drank beer, wine, coffee, and soda together, talked to strangers, had fun and were happy to be sharing the common goal of helping the TCAA do more great things in our community. You know what was noticeably missing from most of the day? People staring at their phones and scrolling through random crap while not being in the moment. It was as if we actually went back to a time where being nice to strangers was ok. It was an awesome few hours. Want to talk about the greatest show on grass? This was it for a Saturday afternoon in Tempe, AZ. When we got to the event, Jack and I talked about the real possibility of being beat in the first round as we had never played the game. Our thought process was to enjoy the day, have fun with some friends and just go with the flow. We did succeed at having fun, but, as LUCK would have it, we kept winning. We ended up playing people who were having as much (maybe even more?) fun than we were, and we even played a couple of people that seemed to take this thing pretty seriously. Miraculously, at the end of the tournament, two rookies were the last ones standing. And miraculously, those two rookies took home the 2018 #bocce9 tournament trophy! We will proudly hold on to the trophy until next year, when we return to try to keep the cup! 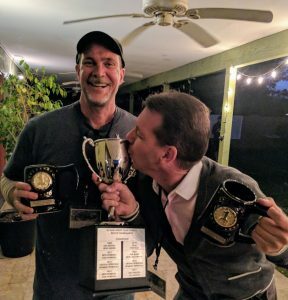 While I’ll never know what it’s like to win a Green Jacket or to help win the Territorial Cup, I’m pretty sure I’ll always remember the day when two jokers beat some really long odds to come home with the trophy for the 9th edition of the annual Bocce Ball Tournament benefiting the Tempe Community Action Agency. **Like many great events, this wouldn’t be nearly as successful without volunteers, community partners and event sponsors. BIG thanks to Even Stevens for bringing sandwiches and salads, as well as D’Electables Cupcakes, Doc’s Artisan Ice Creams, Cartel Coffee, Action Wine, Flagstaff Extreme Adventure and more! I remember my first Crush. She was fun, elegant, had great taste in food and always looked to give back to others. Thankfully, that has never changed. If you’ve never been to the First Crush Charity Gala in Tempe, you really are missing out. ** Update: Starting in 2017, First Crush has been re-branded as Vicinity: Internationally Tempe – Please check out the new and improved event! There is a NEW venue for First Crush this year! The 2016 First Crush Charity Gala will be held at the Arizona Historical Society Museum at Papago Park. The museum is located at 1300 N College Ave Tempe, AZ 85281. The event will feature Four Peaks brews, local wines, and tasty food favorites from places like Whole Foods, M Culinary Concepts and Snooze. There will be live, local music, as well! 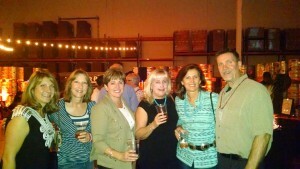 The raffle and silent auction items at First Crush are always awesome! 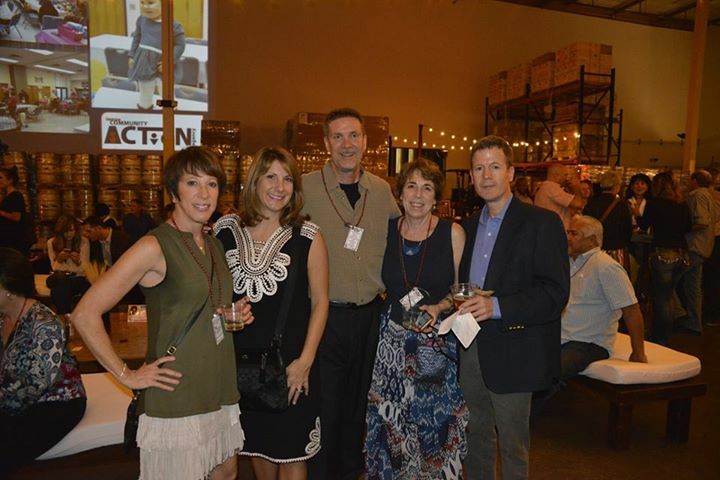 The 2016 auction is full of trips, activities, gift certificates and one-of-a-kind experiences that are totally Tempe. The event will also feature a raffle item where the winner will get to choose their favorite getaway. Which will you choose if you win?? the Ultimate Pro Sports Fan Getaway, a Puntacana Resort & Club Caribbean Paradise Getaway, or a Fairmont Chateau Whistler Ski Getaway?! This really is a can’t miss event! For more information, please visit www.tempeaction.org or contact them at 480-858-6525. Tickets for First Crush will be $100.00 per person. Early bird pricing is available until September 15th. Early bird pricing: Buy 6 tickets for $450, 4 tickets for $320, 2 tickets for $165 or purchase them for $85 each! Surround yourself with hundreds of great people, enjoy great food and drink, a super-fun charity auction and awesome entertainment while helping some of the least fortunate people in our communities. This is truly a wonderful event that Lori and I look forward to attending each year. Great Food and a Great Cause: Give Back by attending the First Crush Charity Gala! Dress for the event is casual. But nice. 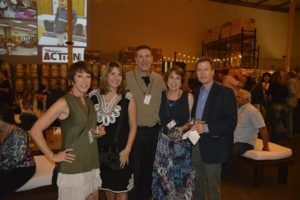 The First Crush Charity Gala supports the mission of Tempe Community Action Agency, a nonprofit leader in providing human services to East Valley residents since 1966. First Crush features one of the best silent auctions around a delicious array of menu items, Wine and there will be a LOT of Four Peaks beer along with some great musical entertainment . Proceeds support the programs and services of TCAA, a nonprofit leader in providing human services to East Valley residents since 1966. TCAA programs that help alleviate hunger, poverty and homelessness. For 50 years Tempe Community Action Agency has provided a variety of essential social services to Tempe’s most vulnerable residents including providing food for the hungry, shelter for the homeless, delivered meals for the homebound, socialization for seniors and several children’s programs. The Tempe Community Action Agency (TCAA) is a 501(c)(3) nonprofit organization. Please join us in helping to raise money and awareness for this amazing organization. A very special thanks also goes out to all of our friends at the TCAA for all of the work they put in to this great event. Check out the TCAA on Facebook.